« What Are We Writing About? 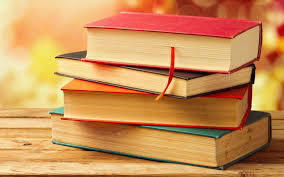 As we come up on the holiday break, it is a time that we often give and receive books, and look for some reading material to get us going again for the second half of the school year. This post is inspired by the June 2017 edition of School Administrator Magazine. And while I always enjoy reading the newest books with the latest thinking, there is often great wisdom in some books that were not published in the last 12 months. It was in the late 1990’s that I saw Richard DuFour speak. I can remember his talk still today. I was an early career teacher focused on what I needed to do in the classroom, and DuFour opened my world to the work we needed to do collectively in the school. DuFour got me less focused on what I was teaching, and more focused on what students were learning. After a group of us heard DuFour speak, we took on his book as a study group book at the school. We began to talk about creating a culture of collaboration. It seems for schools, particularly for high schools, where we had a tendency to close our doors and focus only on our classroom and our practice, DuFour’s thinking opened us to a different way. Still today, the book holds up. While some of the terminology has changed, the goal of working together for student success with a focus on student data, is one alive in all of our schools. My sticky-tabbed copy Professional Learning Communities at Work is a book twenty years later I still reference. Denis Littky’s book showed me that there are other ways to organize a high school. I read this book just as I assumed my first vice-principal assignment, and again we used it for a study group book at the school where I was working. Littky focused on real world education for his students at “The Met” school in Providence, Rhode Island. This is still the first book I would recommend to people who want to think about doing high school differently. Students have an internship, and a mentor and parents are closely connected to the learning. Littky made me think that we didn’t need to organize school into separate subjects every hour, and that learning could not just be what the adults wanted the students to learn, but also what the students wanted to learn themselves. So DuFour got me to think differently about how we need to work together in schools, and Littky got me thinking about how we organize schools, it was Thomas Friedman who let me know the world was changing around our schools. It was hard not to think about Bangalore, India after reading Friedman’s book. If when I ordered at McDonald’s drive-thru I might be speaking to someone in India, or if the reviews of my x-rays could be done by a doctor in south Asia, what would that mean for schools? Until The World Is Flat I tended to believe that changes were happening around schools, but after reading it, I came to believe that schools needed to change to stay relevant. I know the Friedman book has faced some thoughtful criticism, but I still find it a helpful introduction to what global changes are doing this century and a great book to open the questions around knowing all of this, how must we change. The Christmas break is a good-time to sit back with a good book. My next two books for the break on my shelf are What Elephants and Epidemics Can Teach Us About Innovation by Frans Johansson and Wooden on Leadership by John Wooden. While neither is specifically about education, I am sure there will be ideas that will apply to our field. I have mine lined up, what is on your reading list?